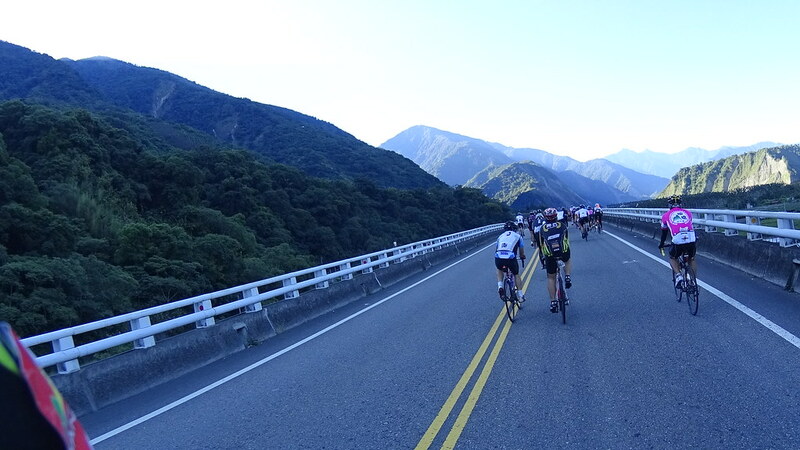 Open valleys, long bridges, and big green mountains. 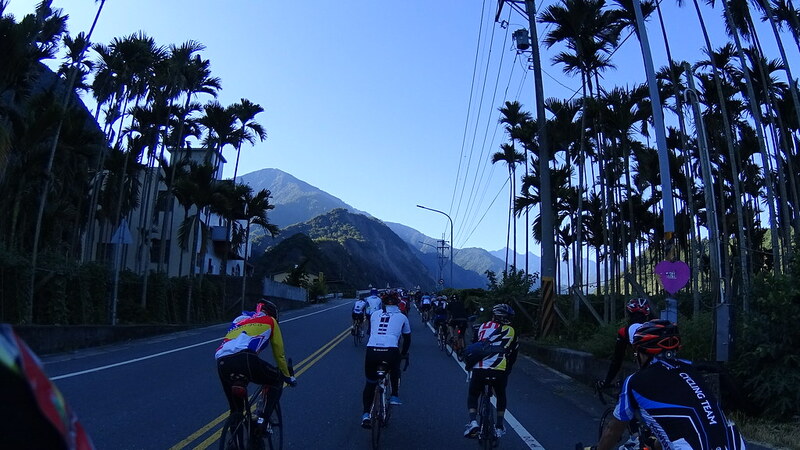 Good training ride for Taroko to Wuling ride. 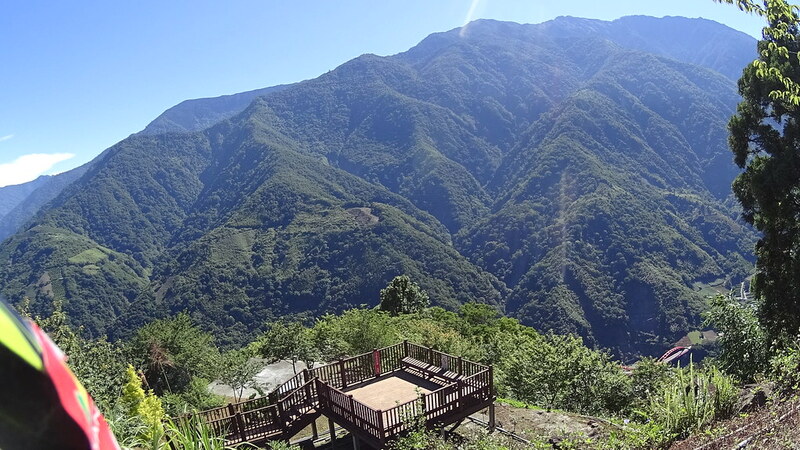 There are two routes to Taiwan’s highest peak, the Jade Mountain (玉山). 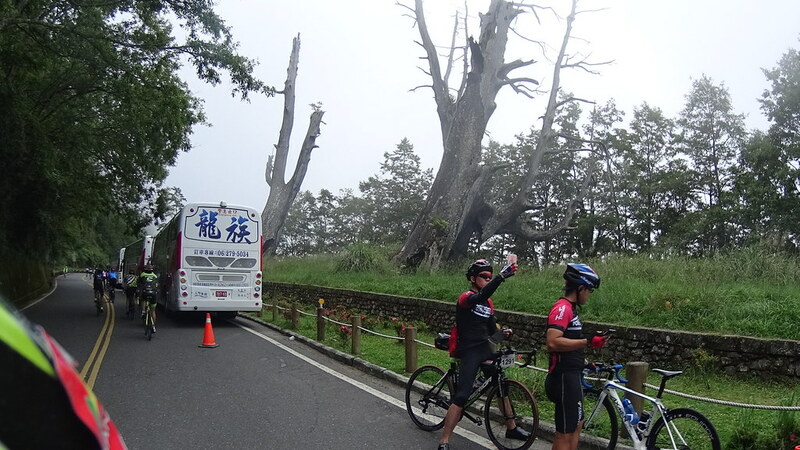 The first route is Highway 18, which is also the popular tourist (big tourist buses infested) route to Alishan (阿里山). 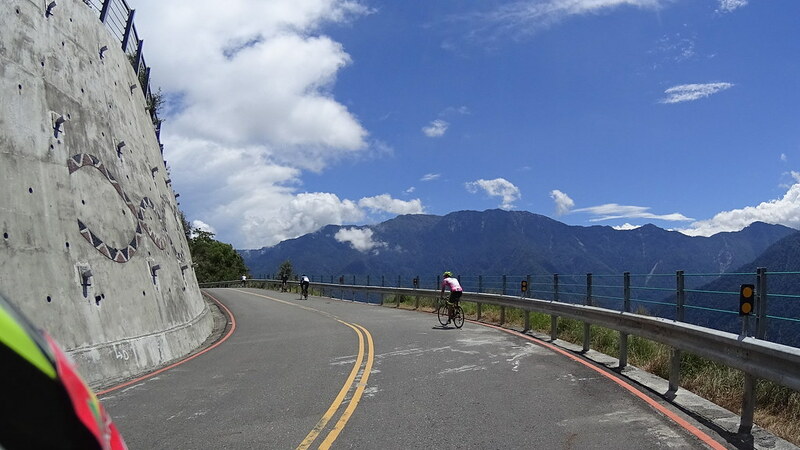 The second route is Highway 21, also known as the New Trans-mountain Highway (新中橫) that goes from Shuli to the doorway of the Jade Mountain: Tataka (塔塔加). 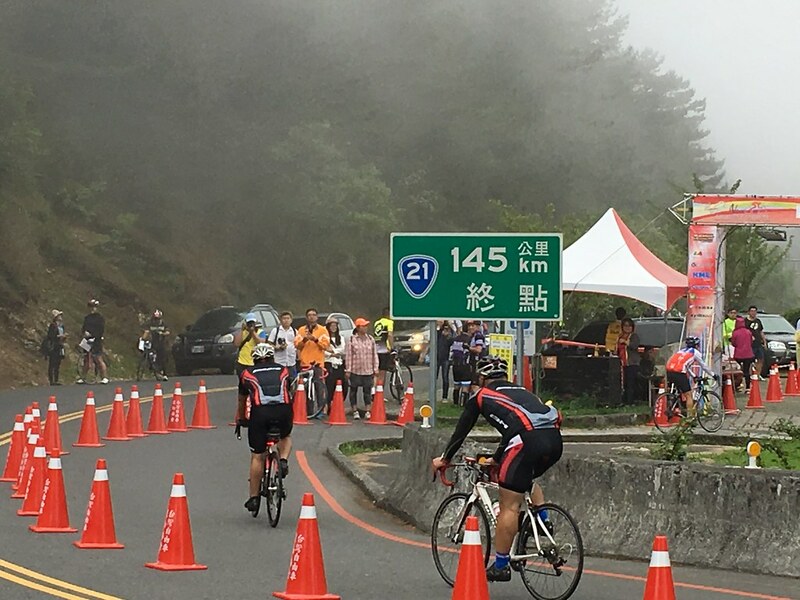 Given its long climb and beautiful view, Taipei Cycling Association has a NEVERSTOP event that rides Highway 21 from Shuili to Tataka. 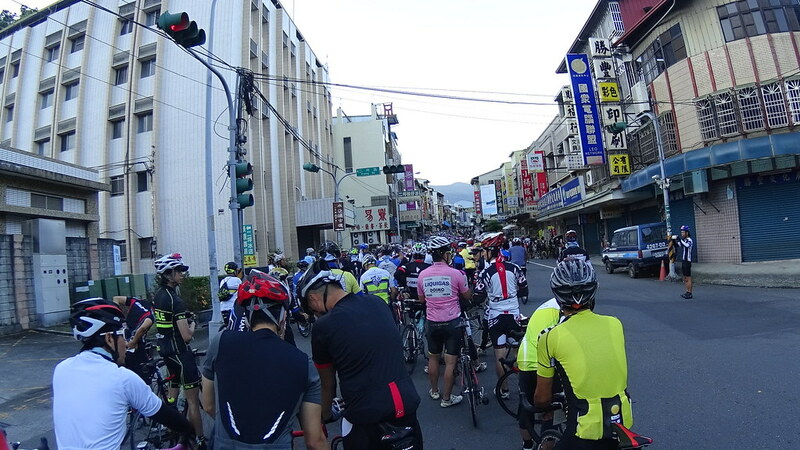 The riders checked in at Shuili Train Station, and lined up at the starting line several hundred meters away. 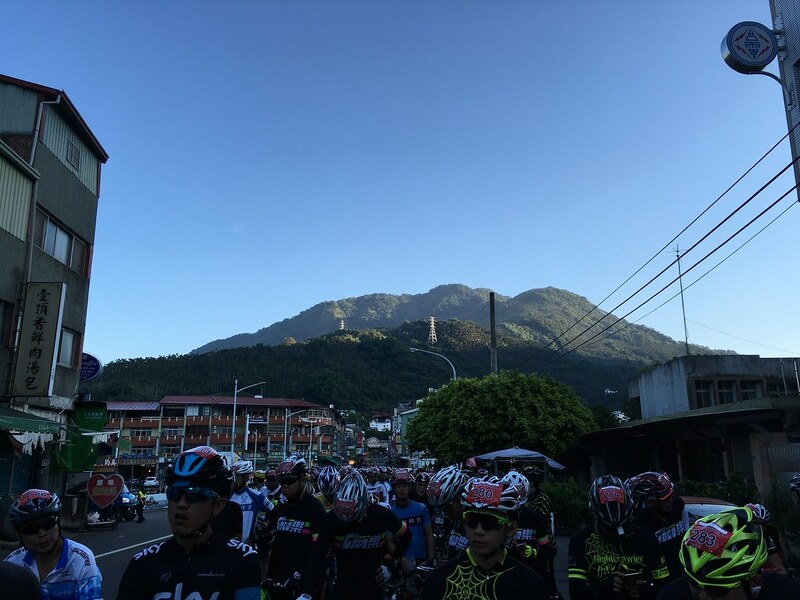 Riders lining up. 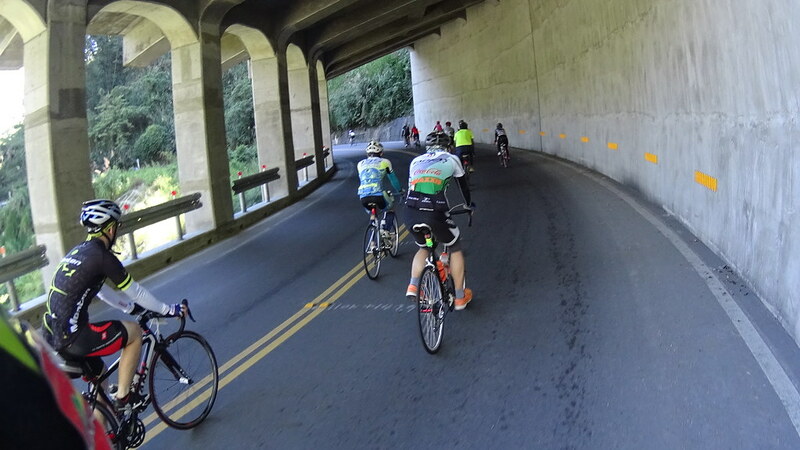 It took me 20 minutes to pass the starting line. 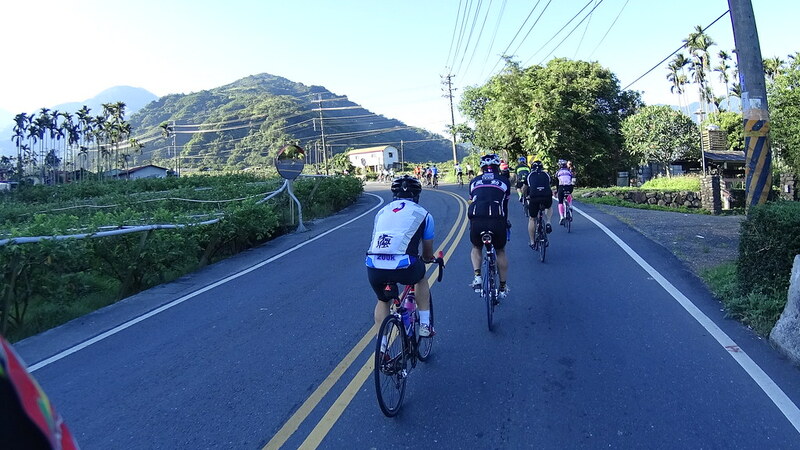 The first 30km was relatievly flat. 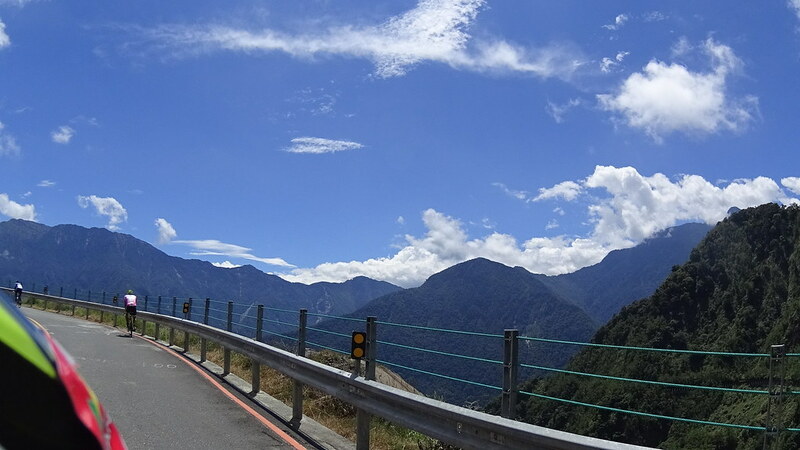 The road followed the Chenyoulan River (陳有蘭溪) and passed through many small villages and their agricultural plantations. 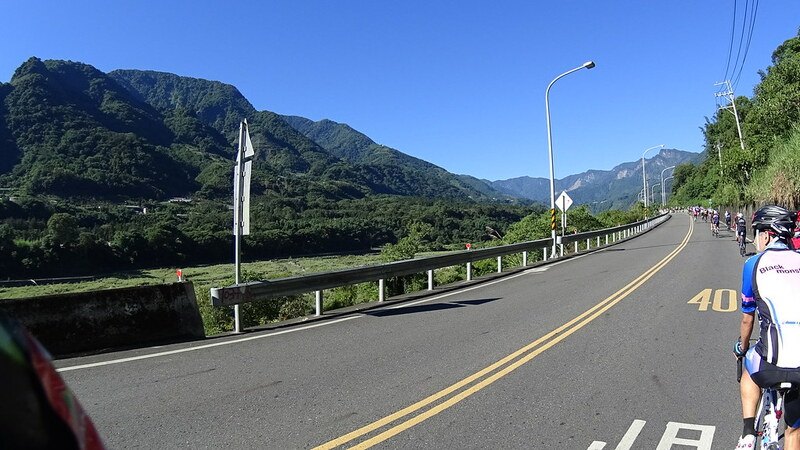 Since Taiwan’s river can have a huge amount of water during the typhoon season, Highway 21 is highly elevated when crossing the river. 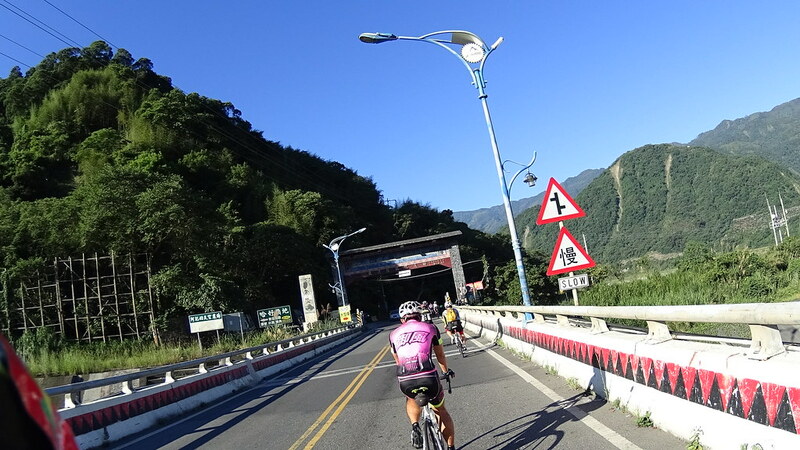 Riding on such elevated bridges was a very thrilling experience. 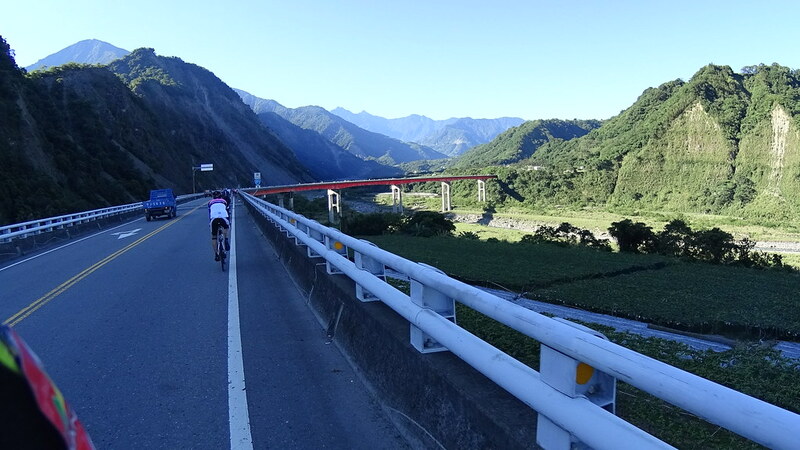 Long section of elevated highway to prevent flooding during the typhoon season. 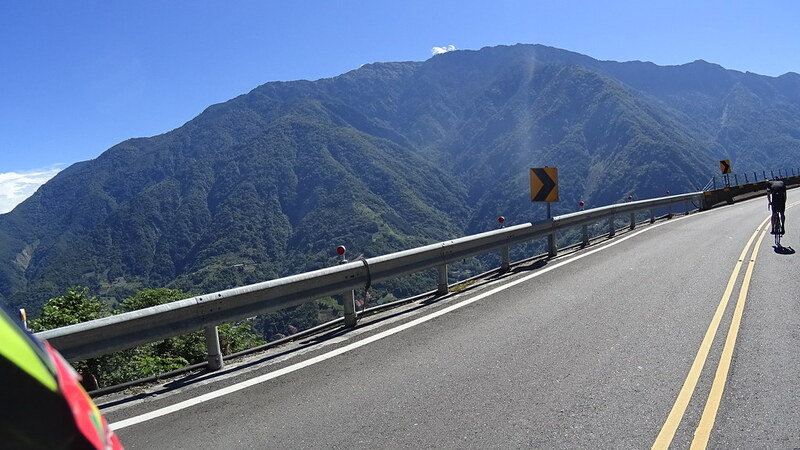 Going toward the big mountains, on a highly elevated highway, with agricultural plantations below. 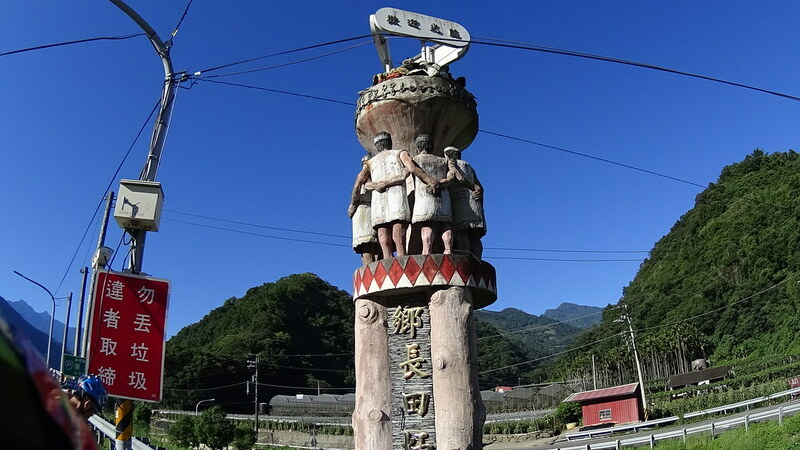 A tribute to aboriginal people. 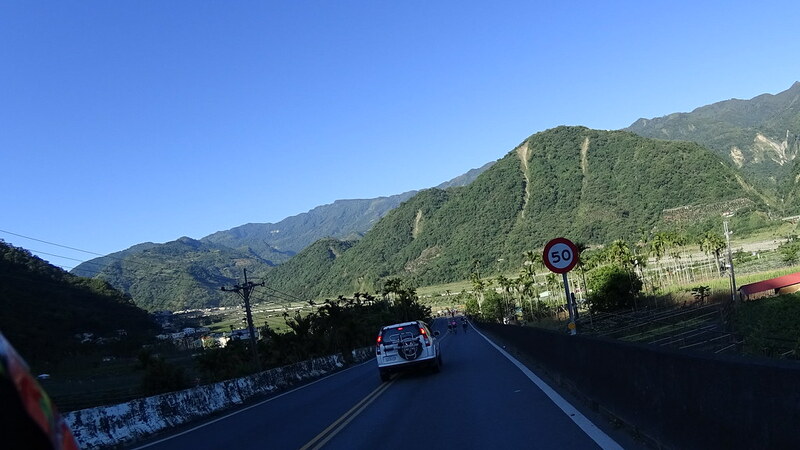 Once we eneterd the mountain area, the road left the river and hung along on the mountain side. 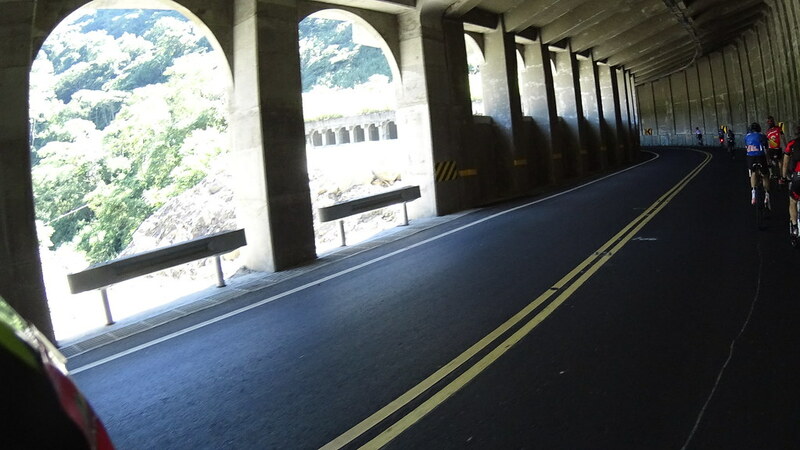 As Taiwan’s mountains are steep and have a lot of rain, there are often protective tunnels built along the road. 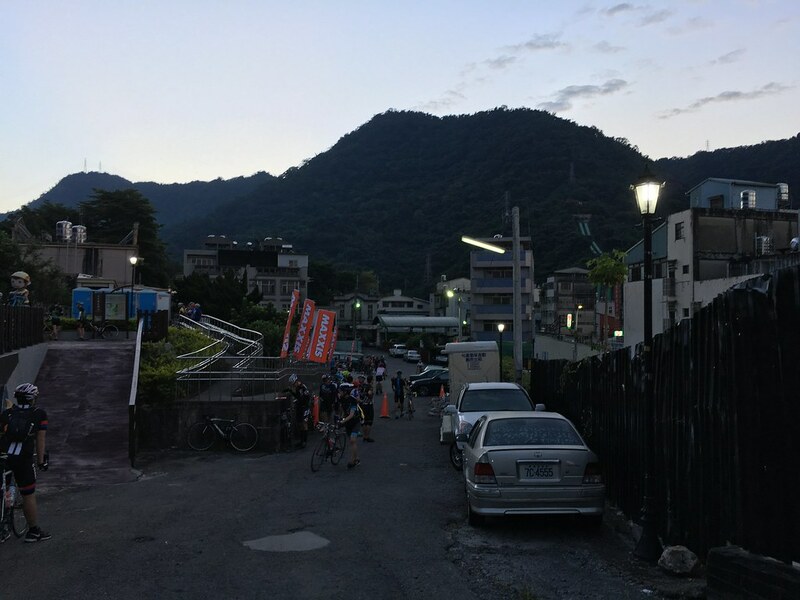 The first stop at 40km was a nice vista point. 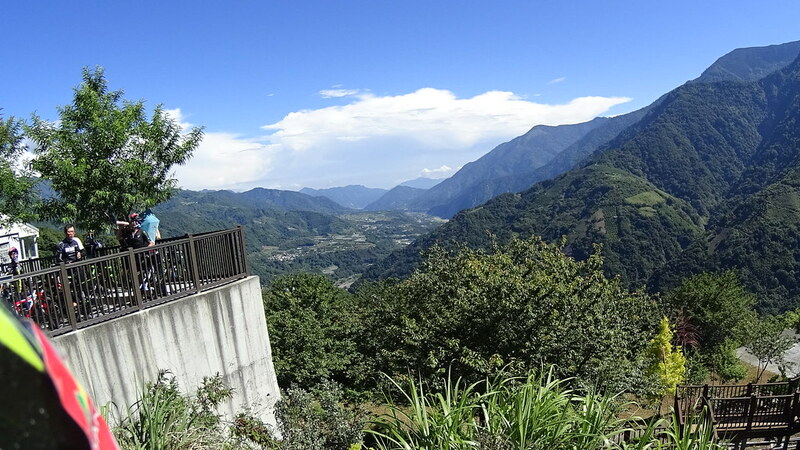 From there you could see the entire valley where you rode from. 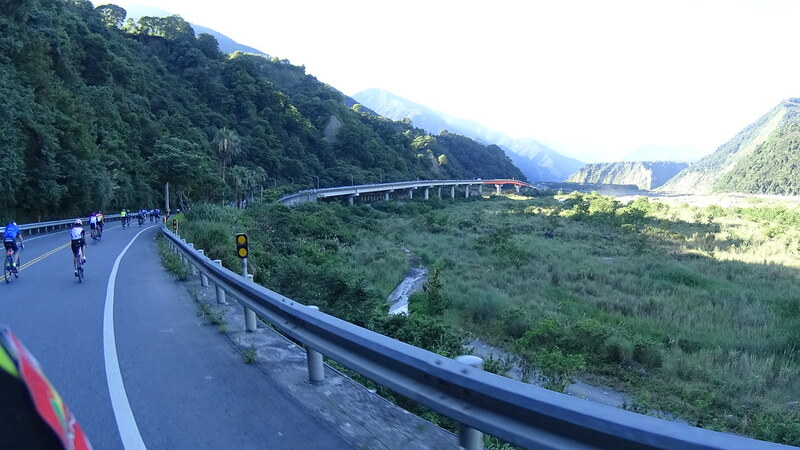 The green mountain on the other side of the river was fascinating. 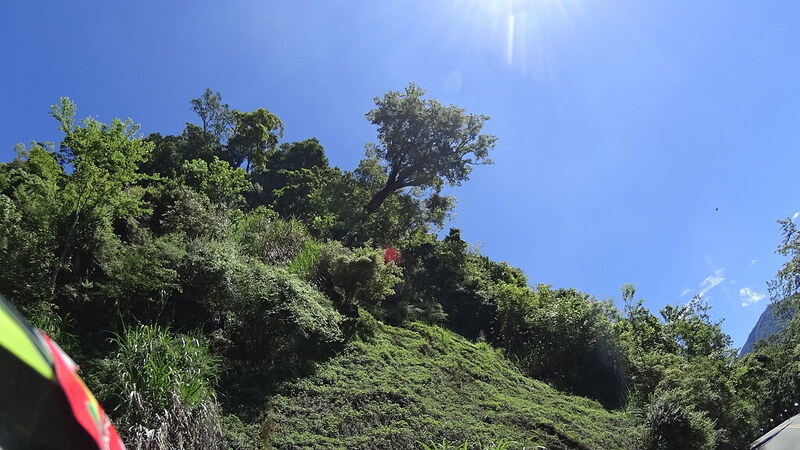 Tree sticking out of hillside. 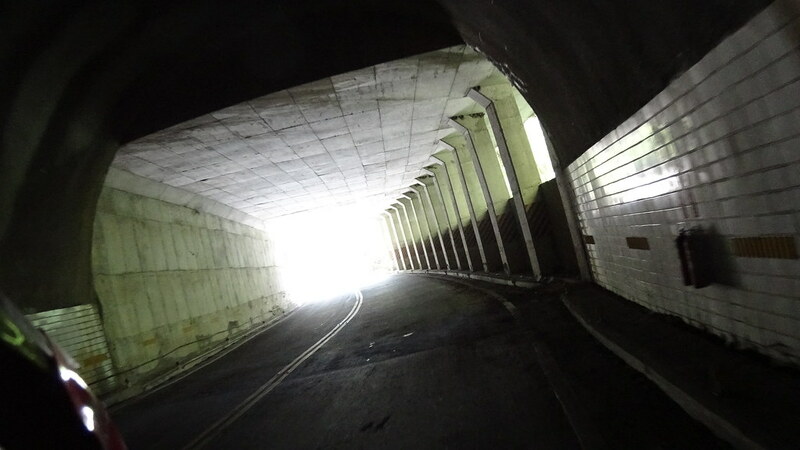 Exit of a long, dark tunnel. 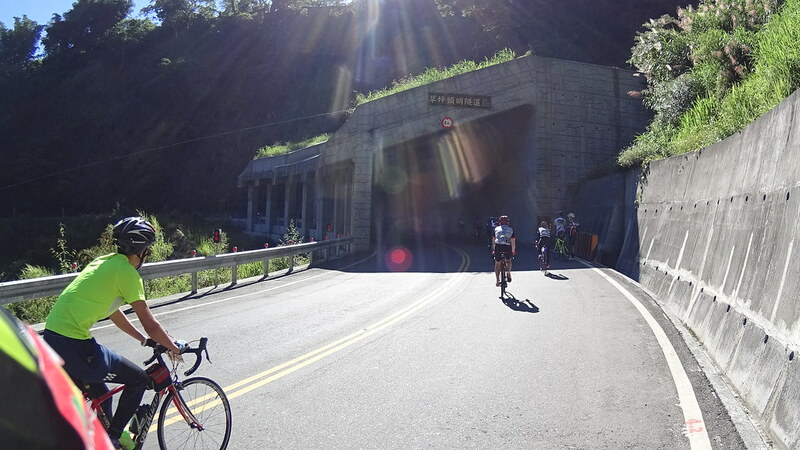 Be sure to bring head and tail lights when cycling Taiwan’s mountain roads, as they often have poorly lit tunnels. 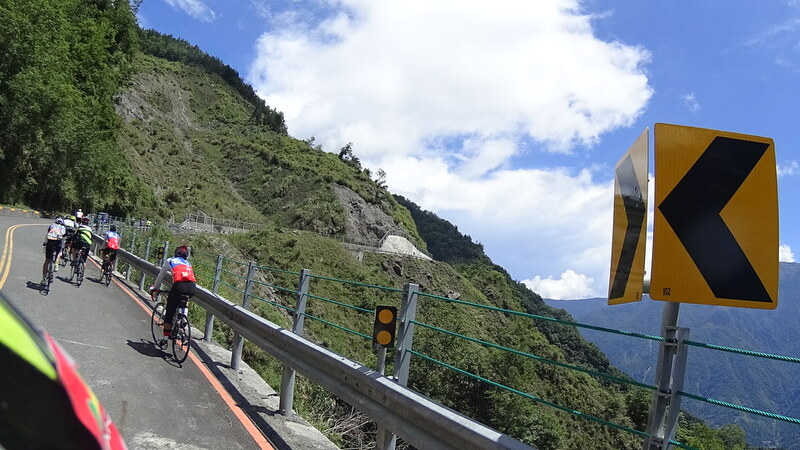 At about 60km there was a steep switch back section. 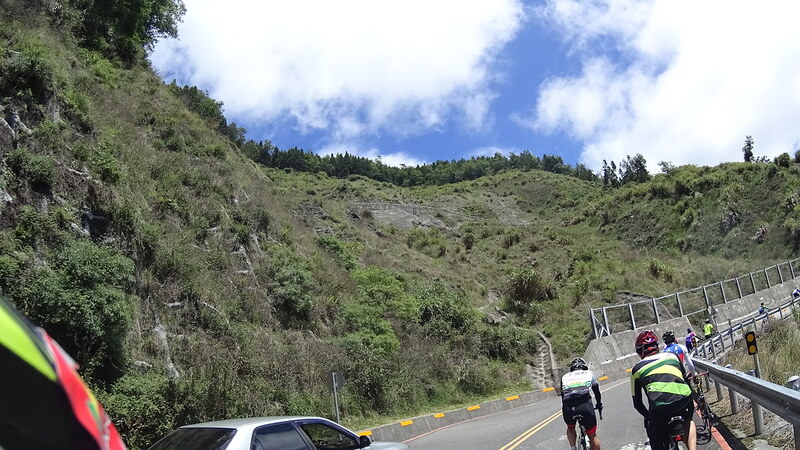 There were no trees here, probably due to a landslide. 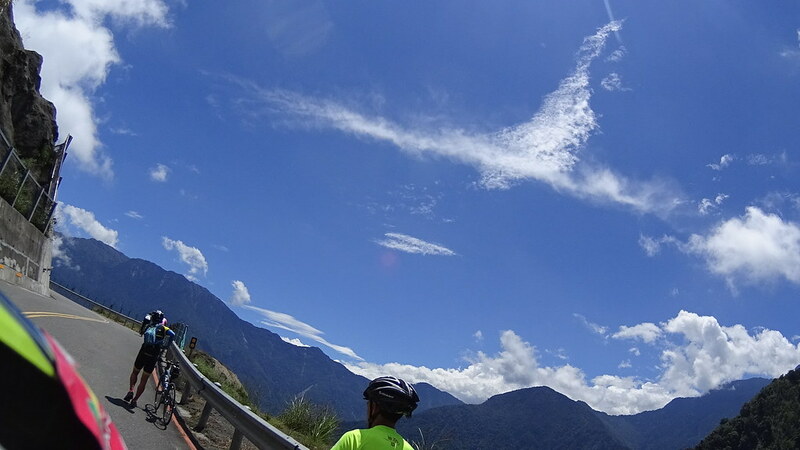 While hard to climb, this section provided great views of the mountains and the blue sky. 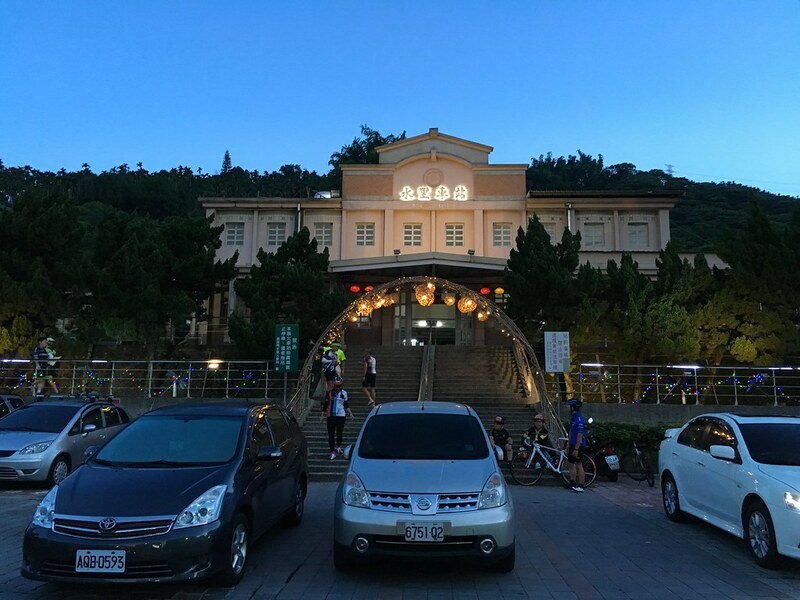 At such height the mountains looked blue. 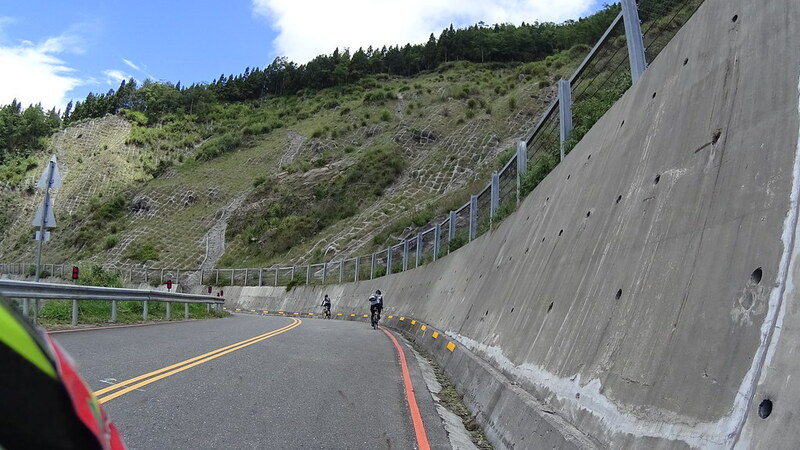 Great Wall of landslide protection. 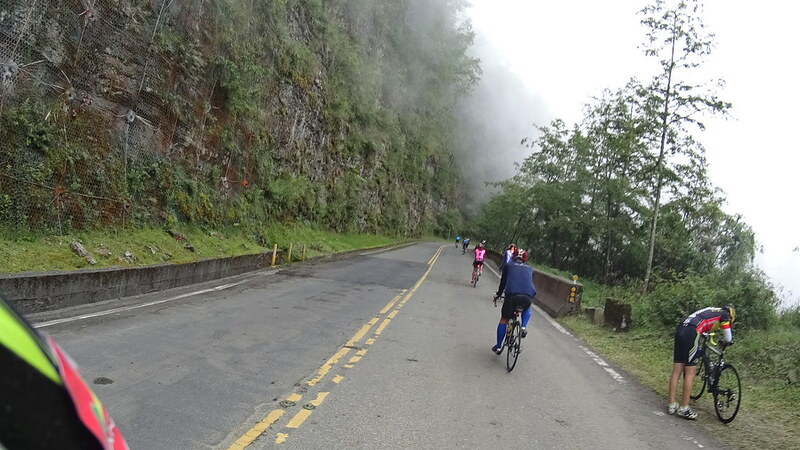 As thr road passed the 2000m elevation, mist started to appear, making the ride cool and pleasant. 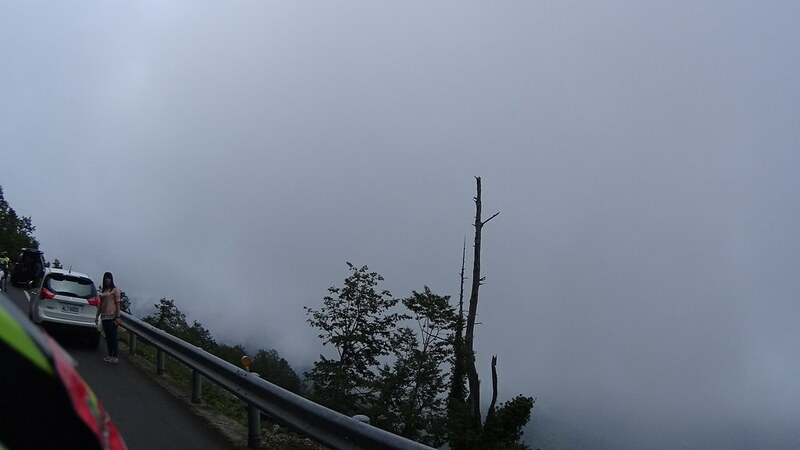 Thick mist covering the side. 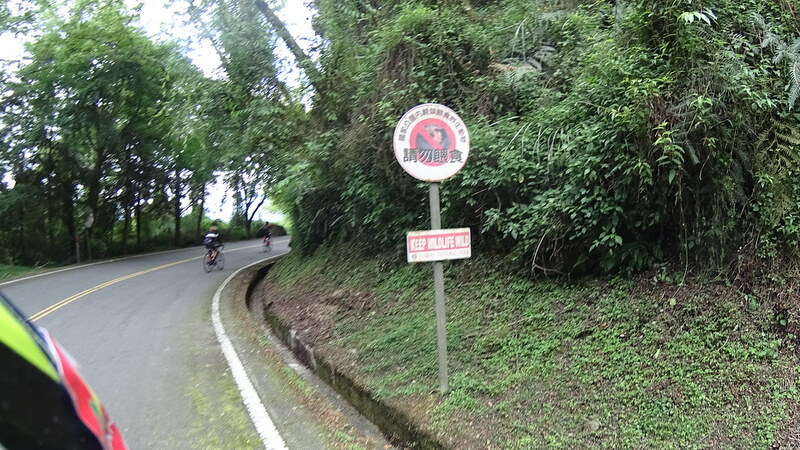 “Don’t feed the wild animal” sign. 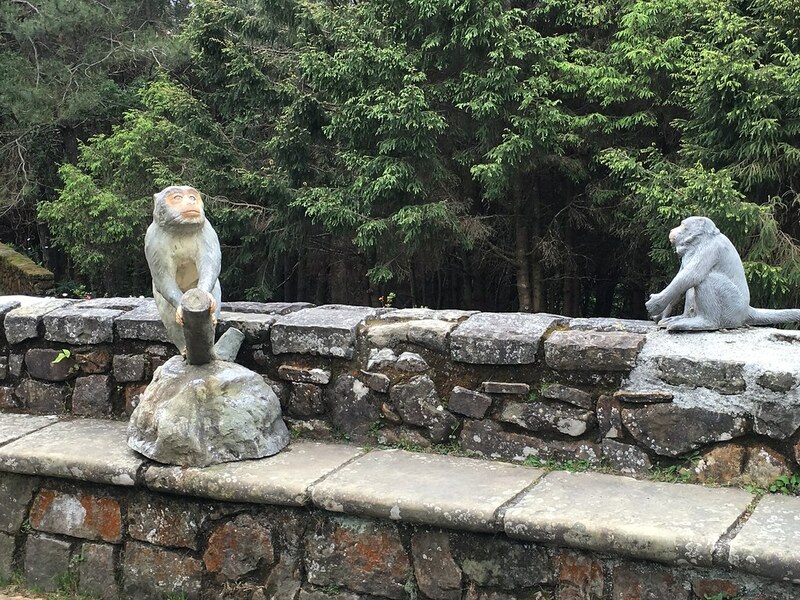 Image portraiting Formosan Rock Macaque.